When I fly, one of my travel tips that I swear by and live by is to wear your heaviest clothes and shoes. 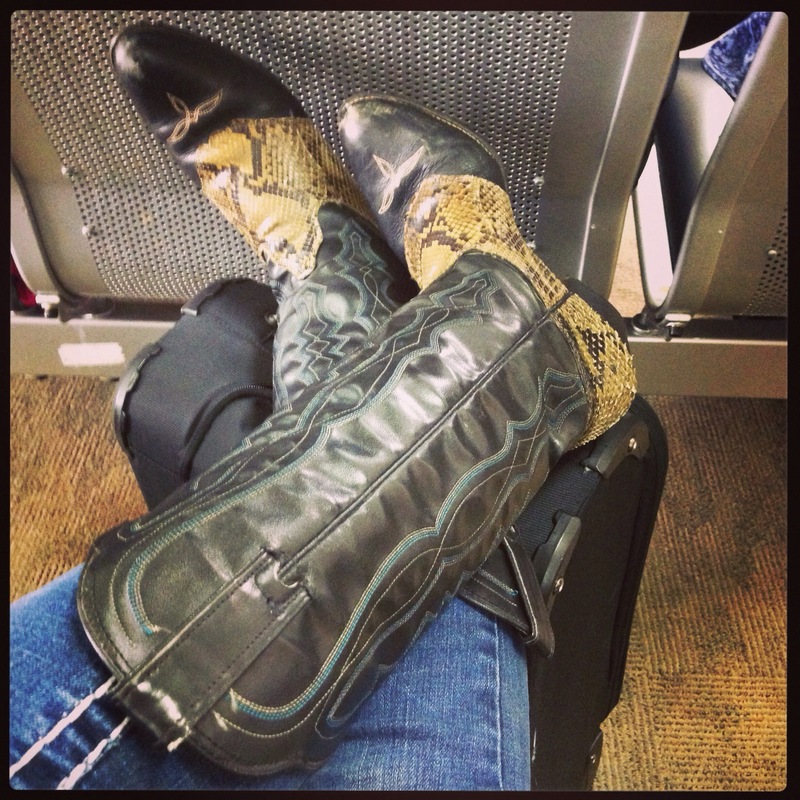 Hence today at the airport I was wearing one of my many pairs of original authentic cowboy boots. This entry was posted in Accessory Du Jour, Fashion and tagged AccessoryDuJour, Fashion, Style. Bookmark the permalink.